The Audio Toolbox™ Simulink® model templates let you automatically configure the Simulink environment for audio signal processing. 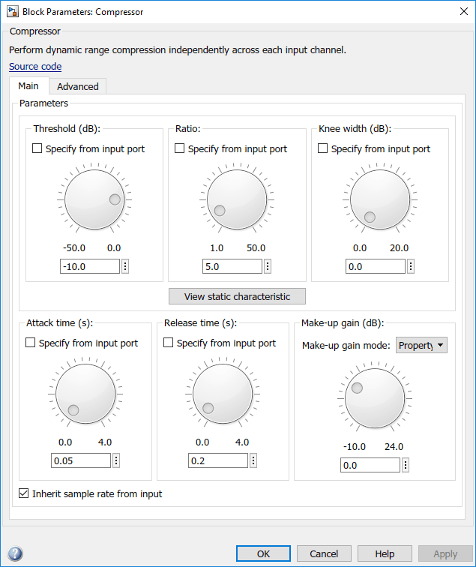 See Recommended Settings for Audio Signal Processing. These templates enable reuse of settings, including configuration parameters. For more information on Simulink model templates, see Create a Model (Simulink). Open the Simulink Start Page by typing simulink at the MATLAB® command prompt. Under Audio Toolbox, click the model template you want, and then click . Audio System – Creates a blank model configured with settings recommended for Audio Toolbox. Basic Audio Player – Creates an audio model configured with settings recommended for Audio Toolbox. This model uses a From Multimedia File block to read multimedia files, and a Audio Device Writer block to send sound data to the default audio device of your computer. Adjust the model as needed to model your audio system. For example, to process live audio input, replace the From Multimedia File block with an Audio Device Reader block. 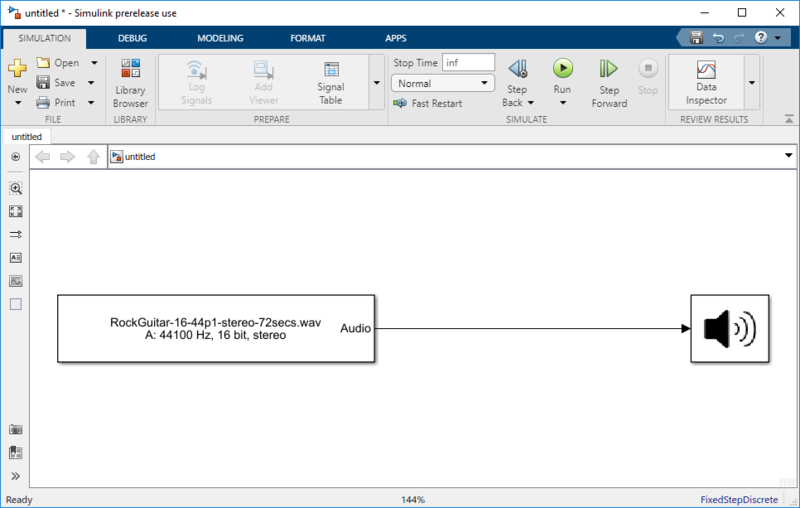 Create a model using an Audio Toolbox template. Open the Simulink Library Browser and select Audio Toolbox. The Audio Toolbox Block Library has six categories: Dynamic Range Control, Effects, Filters, Measurements, Sinks, and Sources. Select a block from one of the categories, and add it to your model. In this example, a Compressor is added to the model by dragging and dropping from the Dynamic Range Control category of the Simulink Library Browser. To run your model, click the button. Open a block parameter user interface by double-clicking the block. You can modify parameters while the model runs. For example, if you added a Compressor block, you can adjust the Threshold (dB) dial to compress the dynamic range of your audio signal. Running a model in the Simulink environment does not save the model. Save your model by clicking the button.